On the morning I captured this image, the winds were something else. We estimated them to be between 25-35 mph with occasional gusts of up to 45-50 mph. The air temperature was about 32 degrees. It was dang cold. As luck would have it, though, we got a break for about 15-20 seconds. The winds calmed, the dust settled, and the foreground looked clean. The timing could not have been more perfect. 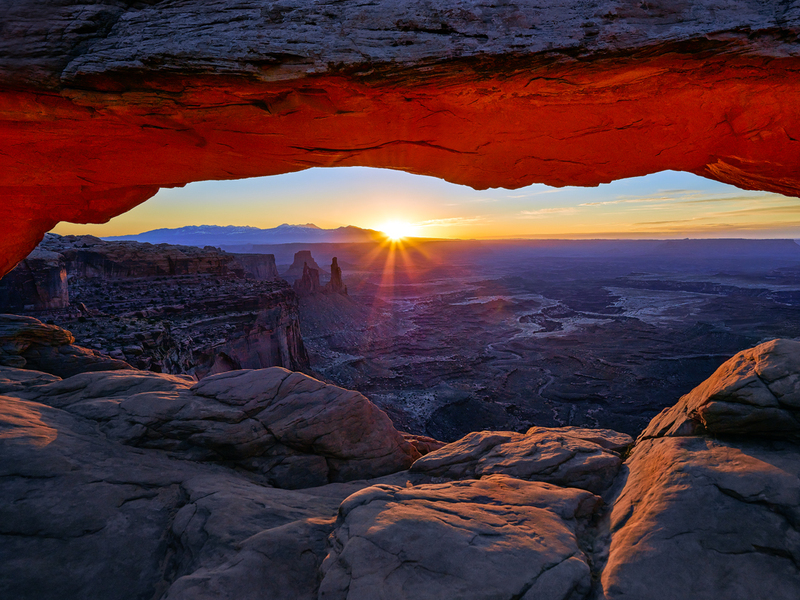 The arch above was beginning to glow as first light started peeking over the La Sal mountain range.